Vegan Spring Rolls - GetCooking! 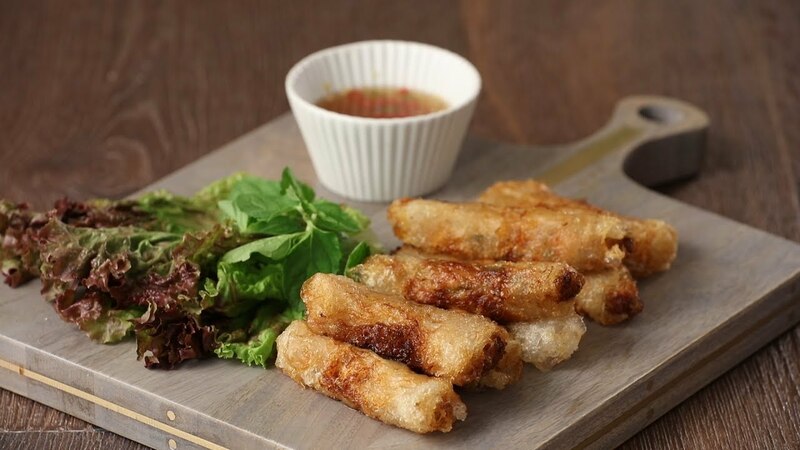 Thrive Market’s – Vegan Spring Rolls recipe. Here’s a dish with a trick up its sleeve. Jackfruit is indigenous to India and Bangladesh, and while this fruit looks prickly on the outside, when the flesh is cooked its texture is remarkably similar to pulled pork. We’d love to hear your feedback on this video recipe format in the comments section below! If you used this video to make Vegan Spring Rolls, please tell us how it went! View the original recipe notes here: Thrive Market’s – Vegan Spring Rolls.